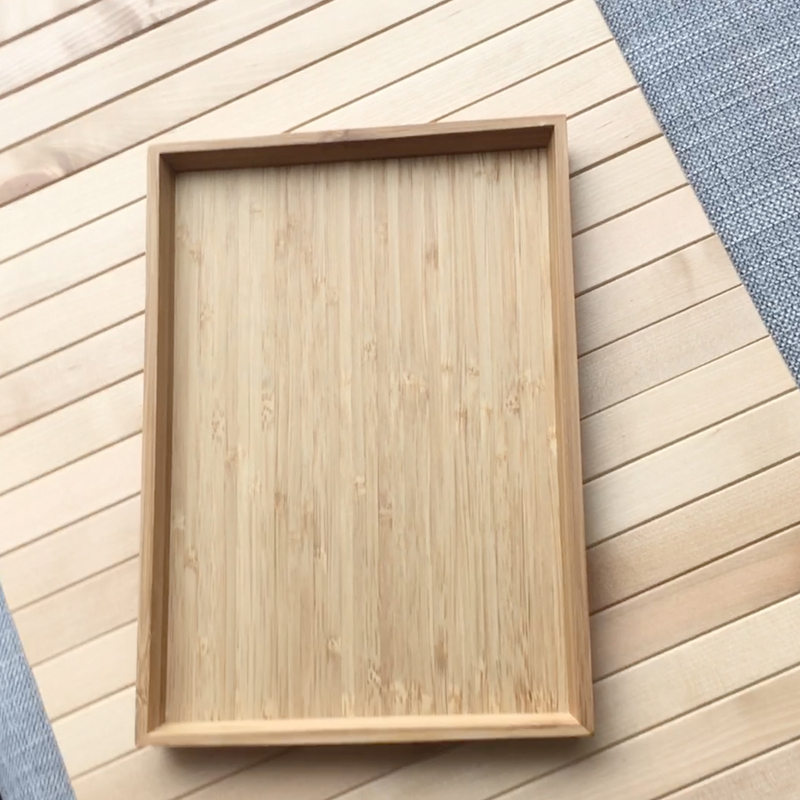 For anyone who is a frequent shopper, and by that I mean purchaser of IKEA furniture, you know the basic colour, look and feel of the pine or bamboo wood items. Every item in the store comes in this quintessential finish. It is the hallmark look of many indoor wood items, across Scandinavia. But there is so much more to Nordic design than the classic wood finish we see so often. Evidently, in the 18th century, the Swedish middle class could not afford expensive woods for furnishing their homes, so they took to painting the furniture. The use of pale shades is known to be a result of the long, dark winters, so as to let in as much light as possible. I can totally get behind that. I love colour, but if it is too saturated, deep or dark, the spaces are over come with the intensity. Light becomes swallowed up and if the room is small to begin with, there is a further closing in of the space. 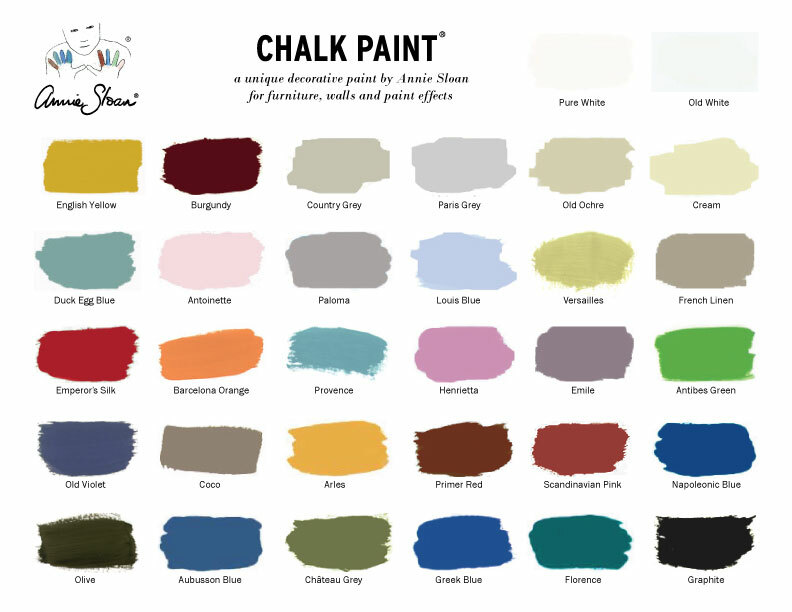 According to the tradition of painting furniture, Annie Sloan has created a line of chalk paints with a range of colours giving a nod to the prominent historical colour palette of the 18th century. These were seen in home design across Europe and considered to be the height of fashion. Now, we are lucky to have this resource to brighten our day and make our standard IKEA purchases a little brighter. I love these colour choices! Years ago, I took a class specifically designed to learn about the way this paint system works, they had 500ml bottles of each and every colour! What heaven. We could mix colour to our hearts content. Trying out whatever combinations moved us at the moment. I would love to have all those bottles in my studio back home. The challenge is, how to satisfy my hunger to complete a painting project while travelling the world? As luck would have it, our week in Hong Kong had us staying at a friend’s apartment. That got me to thinking, maybe I can paint her a gift, to express our gratitude for letting us stay in her wonderful apartment in Kowloon, with a killer view of the city. Once I started thinking about this, the rest was easy. I assumed Hong Kong had an IKEA store, and yes I discovered they have a few to choose from. The only question was, did they have an Annie Sloan stockist? Yes to that as well. Thorn & Burrow is tucked away on Hong Kong island several levels of escalator up the hillside. We ventured over to the Causeway Bay IKEA first to figure out what to buy. I ended up selecting 2 items which would be useful and could be made to look beautiful with some DIY Annie Sloan paint. 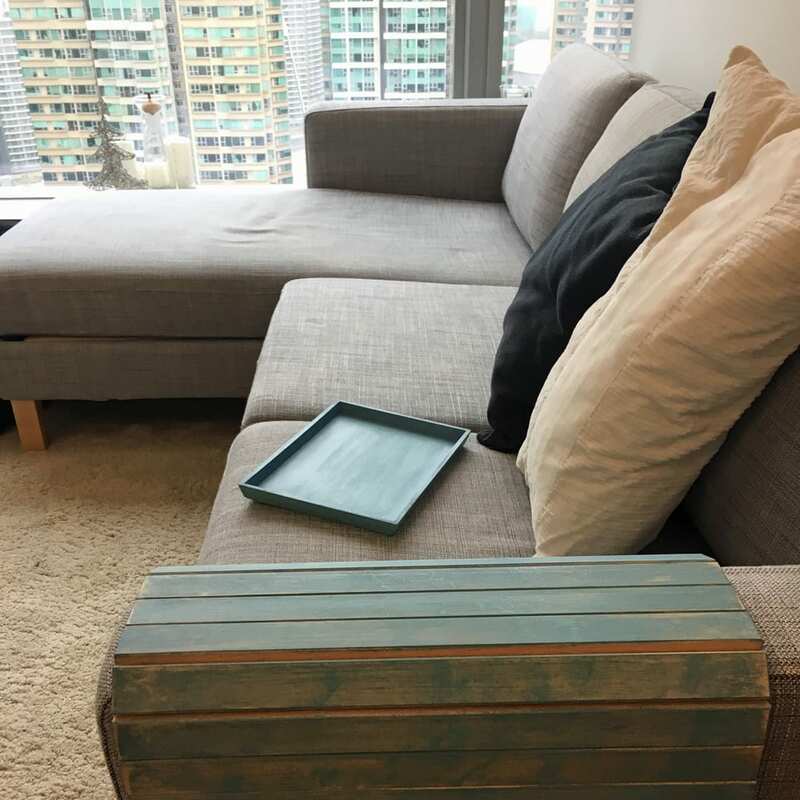 The OSTBIT Tray combined with the RÖDEBY Armrest Tray, (unique to Hong Kong), were the focus of my painting project in Hong Kong. My daughter selected the colours, ‘Provence’ and ‘Greek Blue’. All I had to do was make something creative happen. I experimented with a couple of different techniques, things I had heard about in my class and read about in the Annie Sloan book I have. The staircase in the photo is part of the chapter explaining the 18th century Swedish painting style. I used a separated pair of chopsticks to stir the paint and ended up using those chopsticks to deliver the paint to the brush and sometimes to the piece itself. I didn’t have time to go back and forth cleaning the brush. Usually I would apply a white base coat, but I didn’t have a third colour. Typically, I would sand the piece before applying the wax. In this case, I wanted zero dust, so I used the sanding sponges made by Annie Sloan, after I applying the wax. This worked wonderfully. My family was out of the apartment for a couple of hours and I needed to get everything set-up, completed and cleaned up by the time they returned, which I managed by keeping it all very simple. Of course, you can also head over to youtube and see the real-time video of each step. Prepare painting surface with drop cloth or protect surfaces to be used while painting. I used garbage bags on the dining table as I didn’t have my usual drop cloths. Open the paints and stir them. Normally I would transfer only what I thought I needed into plastic paint trays, but I didn’t have any. It is not advisable to dip the brush into the paint, unless you are sure not to contaminate it. I used the stir sticks to put paint on the tray’s as well as on the end of the brush, creating different effects. Fully cover the whole piece, as desired. Allow to dry fully. I wanted a very light coat on the armrest so I used paper towel to remove some of the excess paint. Wash brush and cover paints. Apply wax, in this case I used paper towel, because I didn’t have a brush. Which is just as well, because you need a special soap to clean the brush properly after using it with wax. Work in wax by buffing with the paper towel and the soft side of the sponge. Turn the sponge over to sand away some of the colour as desired. Give a final buffing to the piece, making sure the wax feels a bit glossy and smooth, rather than tacky or sticky. Allow to dry for a full 24 hours before using. That’s it! Easy peasy. Not only do I love the look of the final pieces, I love the way they feel. 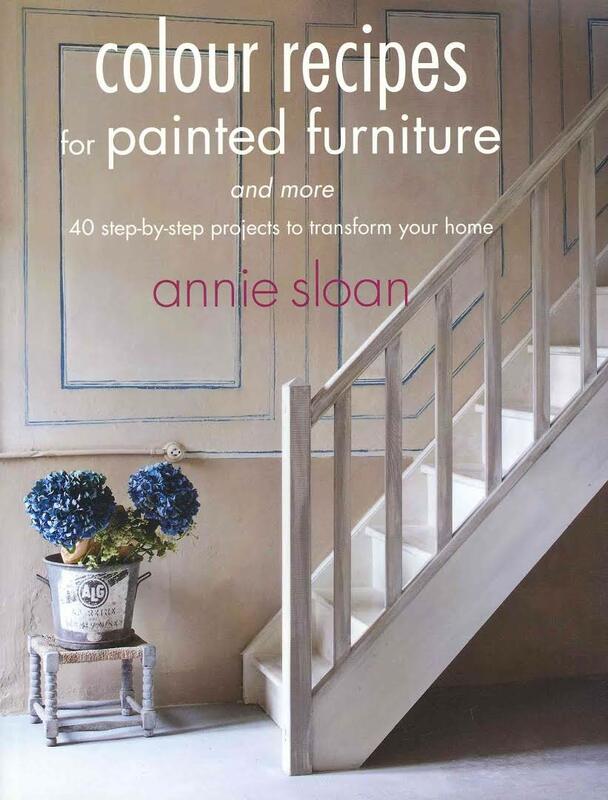 If I had my way, all my IKEA stuff will be restyled with Annie Sloan Chalk Paint. I’m dreaming about the ways I will do that when I return home and get resettled. Since we are halfway through our year away and I managed to survive until now, I think I’ll be able to make it without another Annie Sloan painting session. ← crea.spa.treat. what do you think it means?